The apartment was nice - just right for us. Quiet (most of the time), and wonderfully situated. The facilities were good and we really enjoyed our time spent there. We would definitely rent again from Rome loft - maybe coming with a group. Grazie mille. PS Nissar was very helpful! If you ever go to Rome you have to stay at this place! Every day we appreciated the apartment and the most fantastic surrounding. Staff were very helpful, apartment was lovely, full of character, charm and comfort. The location could not have been better. Thanks for a great start to our holidays! 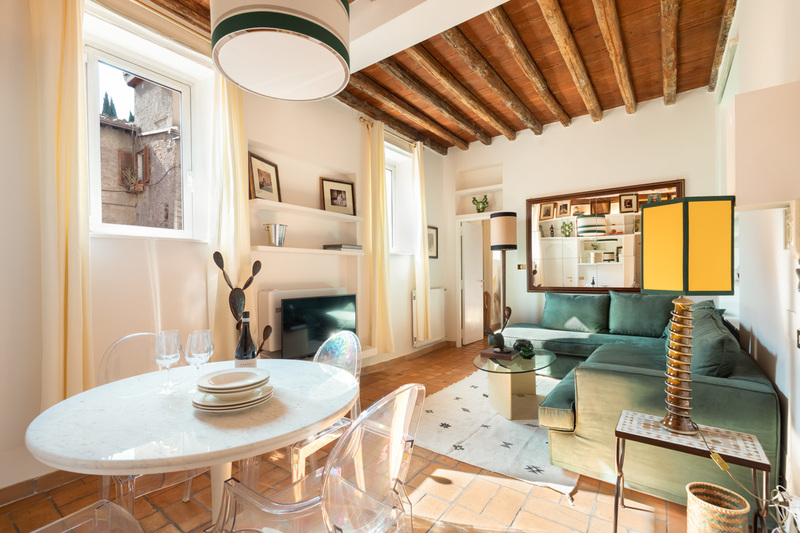 Scaletta apartment is in the perfect location for those looking to take advantage of Trastevere's fantastic nightlife and dining scene. It's also just a short walk to Rome's major sights and is comfortable, spacious and well appointed. It was a nice place in a really good neighborhood, good facilities, all the services, the only detail it was that we had minor problems with the wifi, but most of the time it worked well. 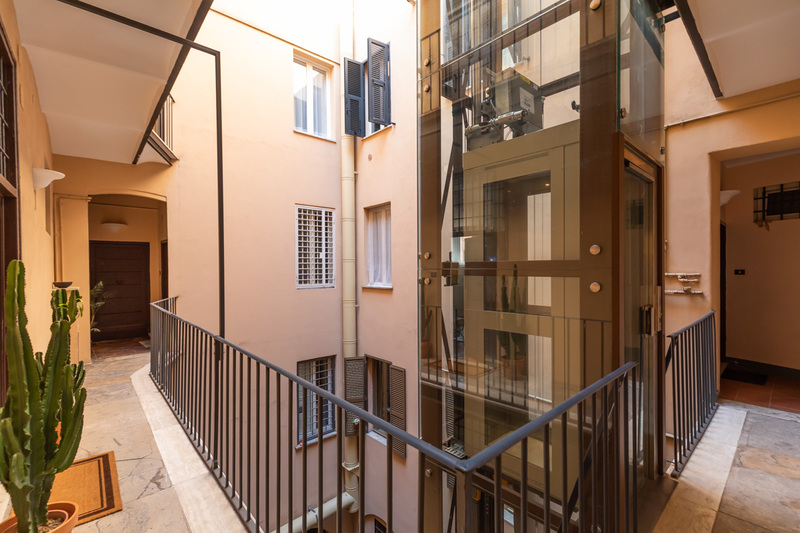 I recommend this apartment for those who want to enjoy Rome in a friendly and well connected place. 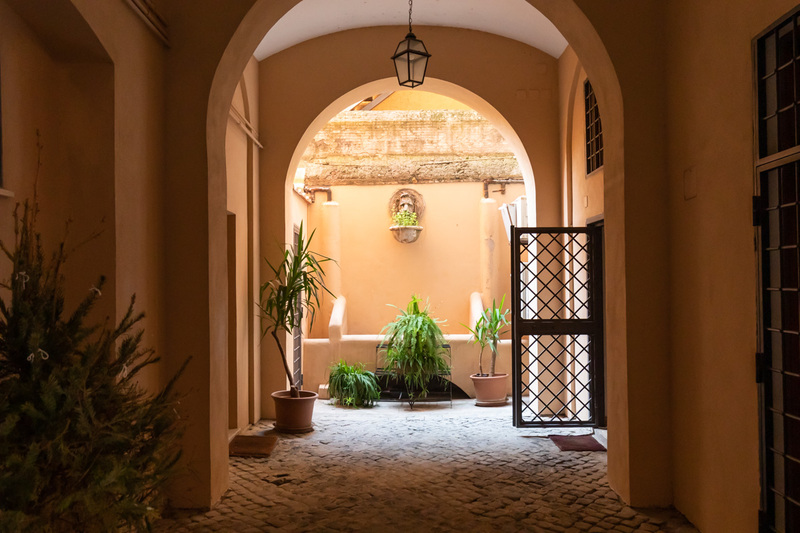 We had a lovely stay at Scaletta apartment, which is situated on a nice lively street in Trastevere. 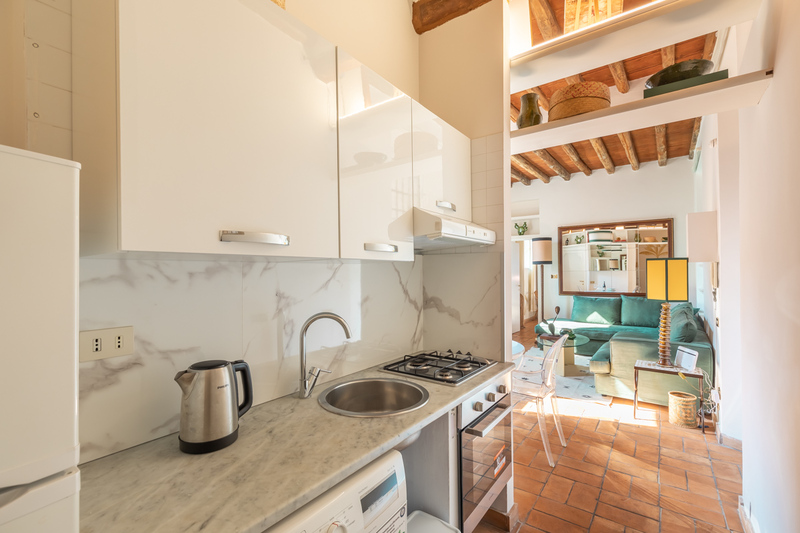 The flat has everything you may need for a longer or shorter stay in Rome and is a great base to explore the city, relax after the whole day of sightseeing and going out in the evening. This apartment offers careful design and decorations. 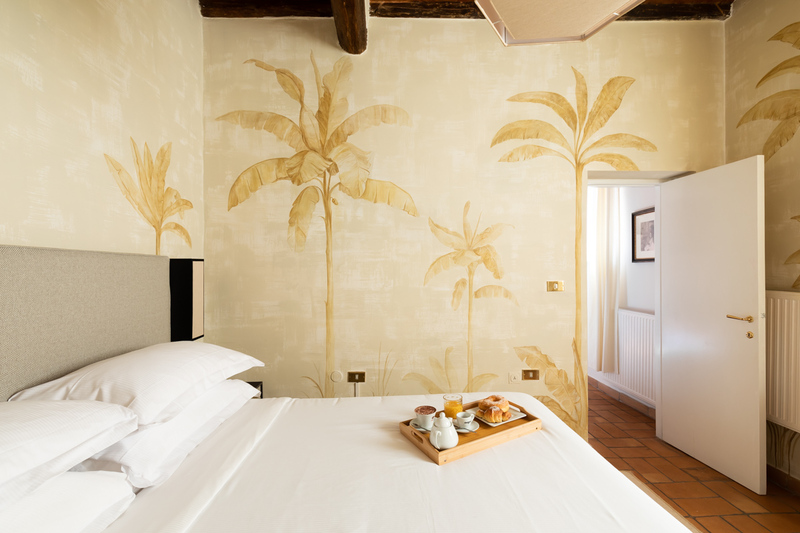 For example, the wooden ceilings and elegant antique “cotto” tiled floor create an elegant and refined style. The living room also offers a comfortable sofa bed (that can sleep two additional guests). Here, you will find an antique table with chairs, a lamp, and paintings decorating the walls. In addition to this, guests can enjoy a 24″ flatscreen TV. There is Internet Wi-Fi at the apartment. The kitchenette has a gas stove, an oven, an electric kettle, a Nespresso machine, an orange juicer, a fridge and a freezer. In fact, it has all you need to prepare a delicious home cooked meal, with all the necessary kitchenware and tableware. 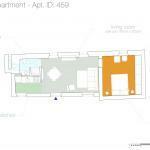 You will find the kitchenette just next to the living room. Here you will also find a washing machine, a useful feature for long-term guests. The apartment features air conditioning in the living area. The master bedroom has a king-size bed, bedside tables, night lamps, large wooden wardrobes and a safe. At the apartment you will also find a safe. The decoration that adorns the bathroom fits in with the rest of the unit. 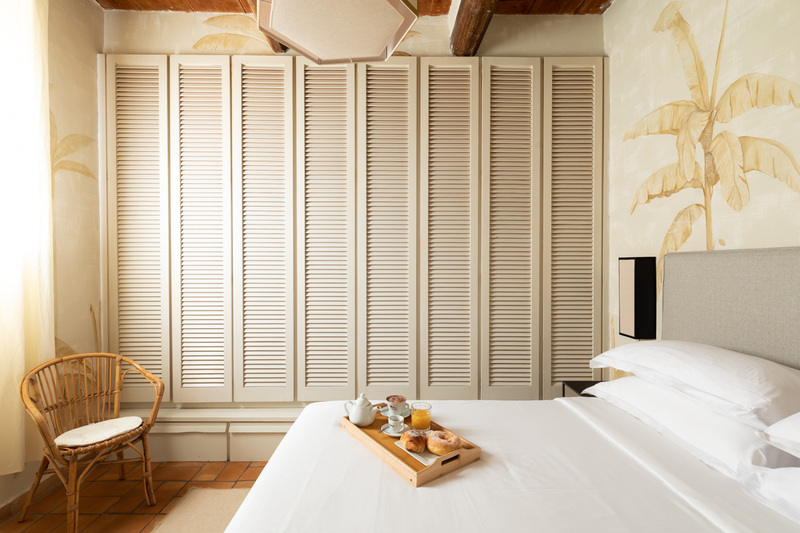 Guests will enjoy its elegant and recently renovated style. 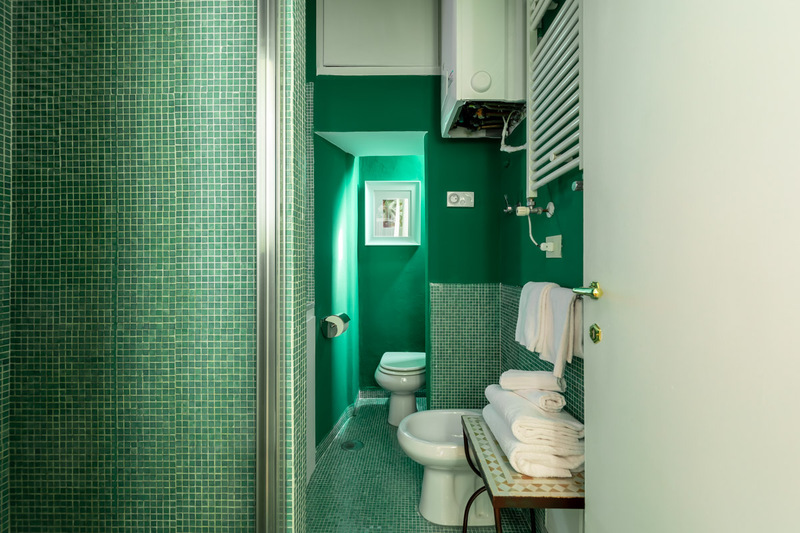 It also has a shower decorated with green majolicas. 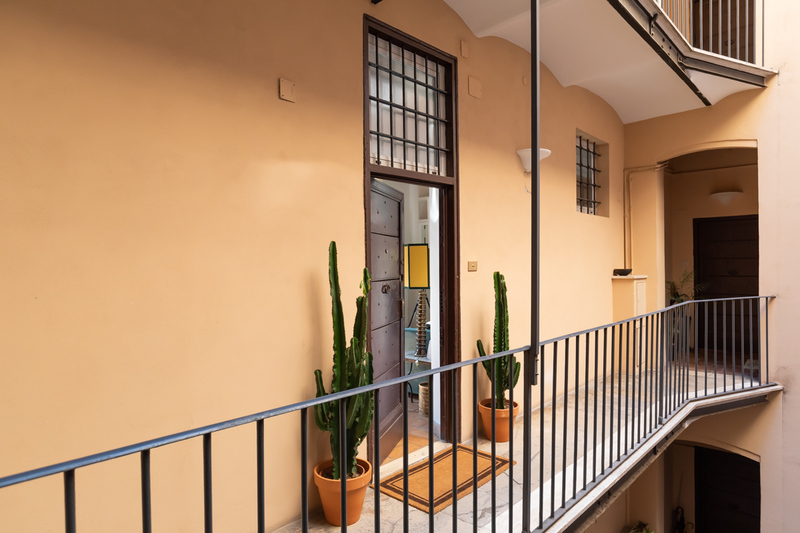 We recommend this Trastevere studio apartment to those of you who want to enjoy Rome on a more modest budget, without giving up comfort and a great location. Trastevere is an old, typical Roman neighborhood situated in the heart of Rome. The most appealing trait of the area is its character: a popular Roman atmosphere tinged with a cosmopolitan and modern flavor. While strolling along these tiny, medieval streets, you can feel this unique atmosphere! We recommend a drink in the Piazza of Santa Maria in Trastevere, a Roman lunch at the restaurant “Checco il carettiere”, and an aperitif at “Freni e frizioni”. Behind Trastevere, you can climb the Gianicolo hill. From the top you will have great views over the historical center and St Peter’s Basilica. This especially beautiful at sunset. Many of the locals will come here with a beer and take-out pizza to enjoy it with friends and lovers. We recommend heading towards Campo de’ Fiori in the mornings, when you will find the charming morning market. Why not stock up on fresh produce here, to later cook up a delicious meal for family and friends? The Vatican is also easily reachable from Trastevere. Around here you will find some great bars and also lunch places. It is a slightly more residential area of the historical center, and so also offers regular facilities such as banks, post offices and shops. 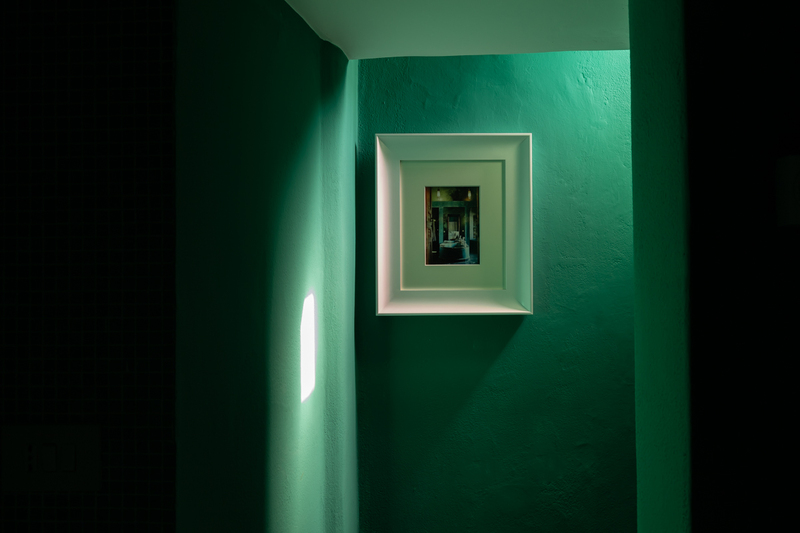 We spent a very good time at the Scaletta apartment which is located in the very centre of the old part of Rome - Trastevere. The apartment was clean and cosy with nice surroundings. A lot of bars and restaurants just next door. In spite of neighbourhood of bars opened almost the all night we could sleep well because in the apartment was quiet. The...Read More only thing what could be improved is the kitchen equipment. We were 4 persons and there were not enough glasses, cups and mugs. We had only one set of keys.The service was greate and Mr Honey was very kind and helpfull. 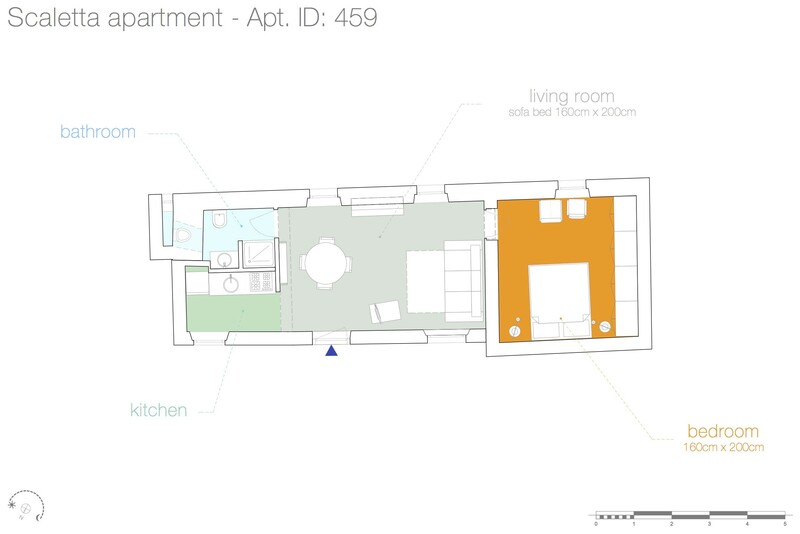 This is an attractively renovated apartment, that combines efficient use of space with a picturesque high beamed ceiling.The bedroom has a great deal of closet space, and there is lots of shelf space in the main room. There are lovely views to the flower laden arches and balconies across the narrow street. 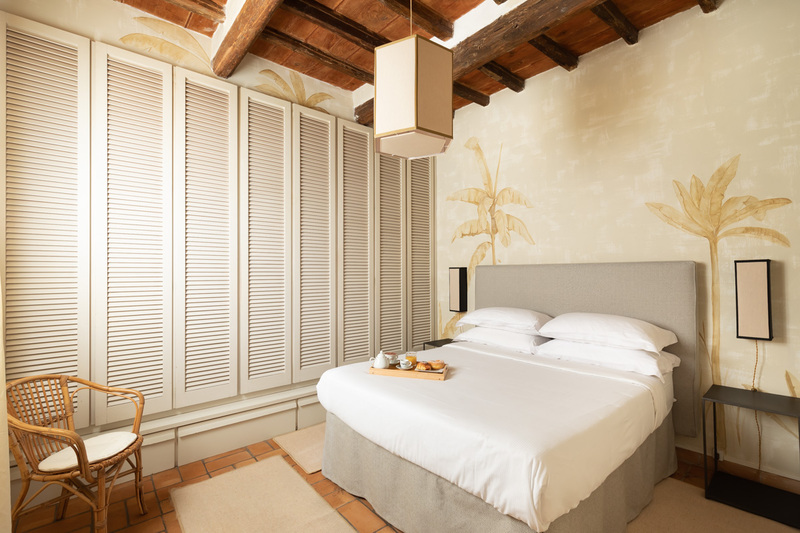 While being easy walking distance from mo...Read Morest of Rome's main attractions, and convenient to supermarkets and cafes, it is extremely quiet and easy to sleep well. 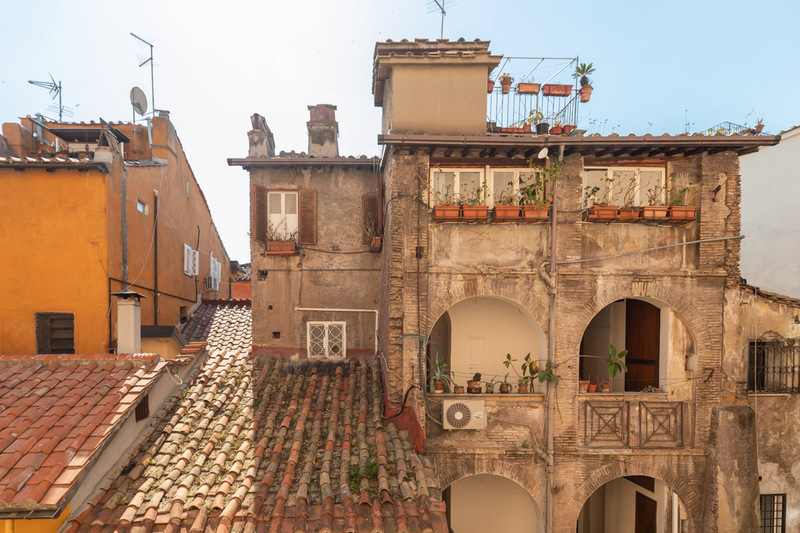 We loved it - great location, very peaceful, lovely view onto typical Rome rooftops, very quiet and caught the early morning sun. Super place to base ourselves, we ate and drank like kings in nearby restaurants and we cooked one night using local produce, the kitchen allowing simple cooking. 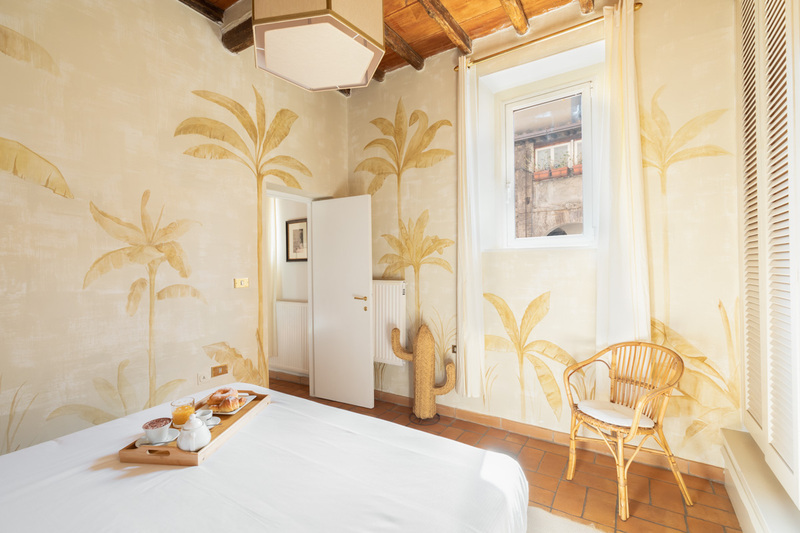 The Rome Loft team were helpful, it was great to know we ...Read Morecould call if we needed anything and our driver to/from the airport was full of helpful insider tips of places to go, see and eat. They couldn't have arranged it but the weather was perfect! We had a lovely time at the Scaletta apartment. It is dead center in Trastevere so perfect for going out to bars and restaurants in the evening. While it may seem loud outside at night, the apartment itself faces the opposite direction so you can't hear a peep when in it. The apartment itself is small but spacious, clean, and includes a full k...Read Moreitchen and even a washing machine! The gentleman who met me to give me the keys was very hospitable and pleasant to talk to. 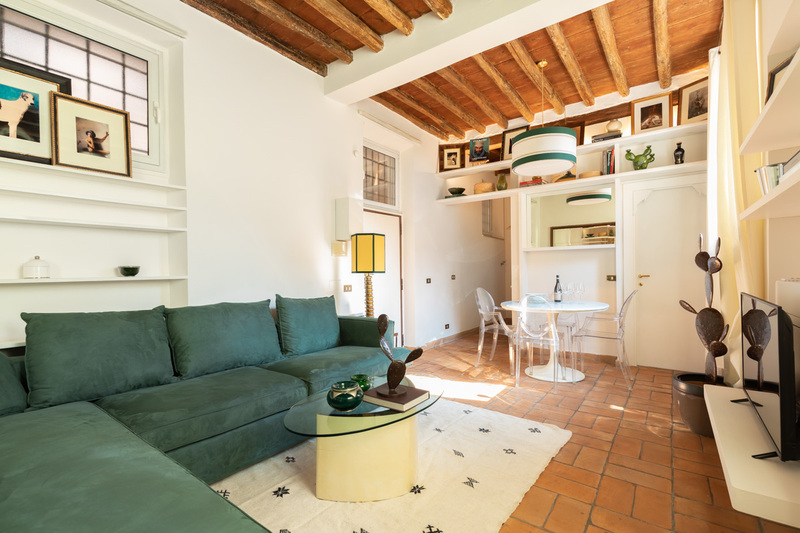 I would recommend this cute apartment in a perfect location for anyone who wants to stay in Trastevere. Thanks a bunch!! This place made my stay in Rome perfect!!! A friend and I stayed in the flat, but the flat was definitely big enough for one or two more people. The flat itself looked about the same as the pictures, i.e. it met our expectations. 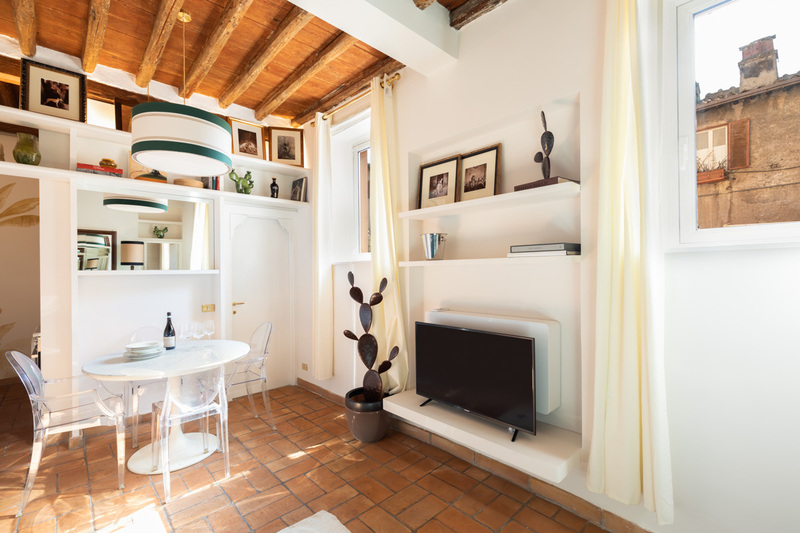 Clean, pretty, simple and thereto situated in a really cosy and central area of Rome withing walking distance from the main sights. Rome Loft provided quick an...Read Mored friendly service, showing great complaisance. 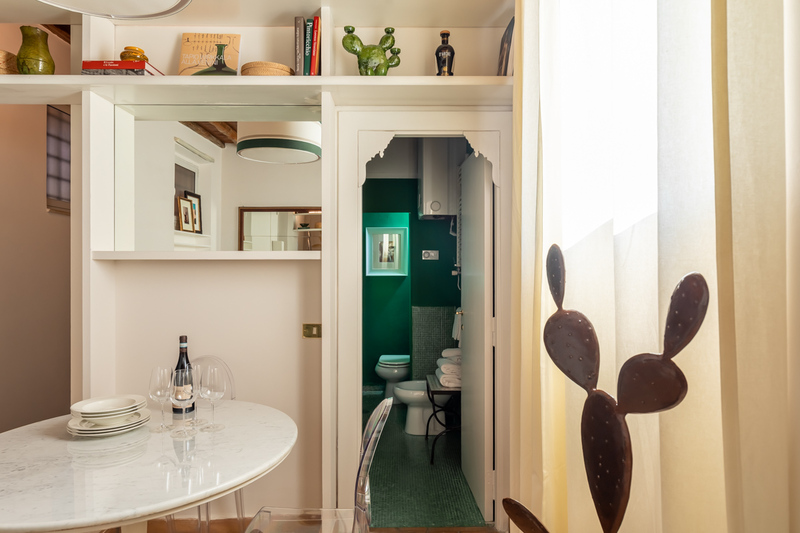 I can warmly recommend Rome Loft in general and this flat in particular.